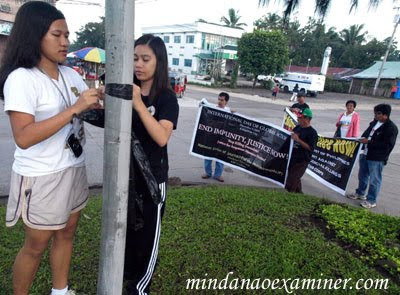 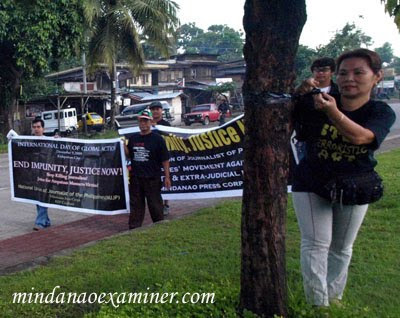 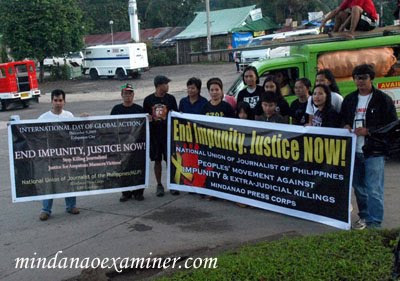 KIDAPAWAN CITY, Philippines (Mindanao Examiner / June 23, 2010 – Filipino journalists in the southern city of Kidapawan held a unity run on Wednesday to commemorate the brutal murders of at least 32 media workers in Maguindanao province last year. 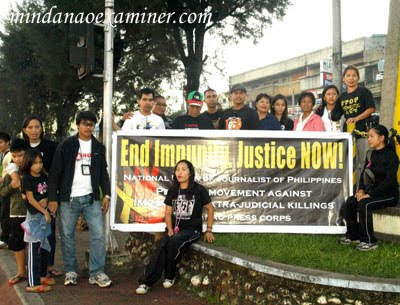 The journalists, mostly members of the Mindanao Press Corps, the National Union of Journalists of the Philippines and the People’s Movement against Impunity and Extrajudicial Killings, demanded justice and urged authorities to end the culture of violence and extrajudicial killings in the country. 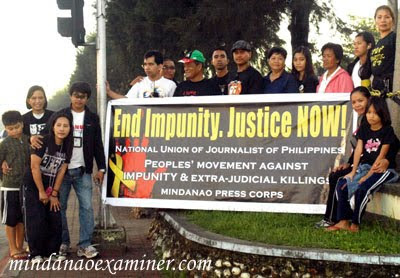 At least 32 journalists who were accompanying a political caravan in Maguindanao province had been killed by gunmen in the town of Ampatuan.